Provide us your email address! If someone looking for a Shidduch would help a childless couple achieve their wish, it will be a tremendous zchus that can help the single find her bashert. Two things would keep the Rosh Yeshiva, Rav Aharon Leib Shteinman awake every night: the plight of single girls and the pain of childless couples. 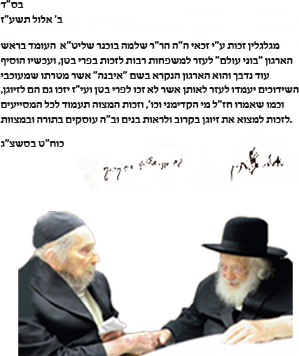 Once, in a conversation with Rabbi Shlomo Bochner from Bonei Olam, Rav Shteinman said, “If someone looking for a shidduch would help a childless couple achieve their wish, they will be blessed and find their bashert!" Rav Shteinman explained that the מסירת נפש of caring for someone else who is struggling with something different than your own pain, is so valued that it storms the heavens. Rav Shteinman referred to Sarah Imeinu, when she was barren and decided to give her maidservant Hagar to Avraham Avinu, stating, (Bereishis 16:2): — perhaps I will be built from her.” Indeed, it was only after she enabled another person to have a child that she herself merited to have Yitzchak. Essentially, the one struggling to find a zivug and the couple struggling to conceive children, both want the same thing: to build a Bayis Ne’eman B’yisroel. 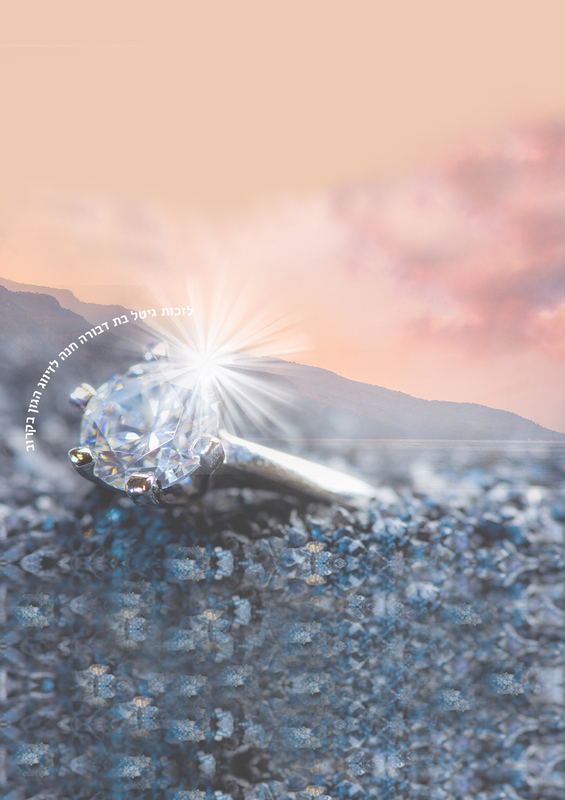 The power of together, the power of two individuals striving to help the other one achieve their dream, brings pure joy to Hashem. two of the greatest gedolim of our generation. During these auspicious days of mercy, your financial support can bring about tremendous segulos, personal brachos and a year of good news, as promised by our holy leaders. We extend our blessings to those who pledge their financial support to Ibane, a new organization that pairs those searching for their shidduch with those who have yet to be blessed with children. Spearheaded by Rabbi Schlomo Bochner, founder of Bonei Olam, Ibane (Ohel Sarala in America, in dedication to Sarala Ginzberg z”l) will bring zechuyos to its participants, helping them see yeshuos they seek in the near future. I thought shidduchim would go easily, but Hashem had other plans. A friend told me about Ohel Sarala and I figured it can't hurt. BH 5 months later I became a Kallah & Bonei Olam let me know that my couple is expecting twins! Thank you for this opportunity, and may the neshoma of Sarala keep having an aliyah. I was 32 and had tried hundreds of segulahs by the time I heard about Ohel Sarala. Its simple process and message made so much sense to me. Baruch Hashem, I am now preparing for my wedding which is only 3 weeks away and the couple I’ve been paired up with has been blessed with a beautiful baby girl. Having been involved with Bonei Olam for 6 years, we want to thank Ohel Sarala for this initiative. We've recently been paired with a single girl in need of shidduch and it's so comforting knowing that she is praying for us while we're praying for her. May Hashem fulfill both of our wishes. whose simchas hachayim was infectious. The Ginzbergs searched for a way to perpetuate that simchas hachaim. of simchas in Klal Yisroel! That’s when the Ginzbergs realized that it’s time to take Ohel Sarala even further. people has carried them through to build their own Bayis Ne’eman B’yisroel. On yud gimmel Kislev 5776 (2015), Hakodosh Baruch Hu took back the special & precious Neshoma of our beloved & unforgettable youngest child, Sarala Ginzberg z"l, a young girl who had just celebrated her 17th birthday. While we are not able to understand the ways that Hashem runs this temporal world, we fully accept that whatever Hashem does is for our good and for our benefit. At the same time, we have a great sense of Hakoras Hatov for having been blessed with the great zechus of being able to care and raise such a special & wonderful child, albeit for only 17 years. She was a real "miracle child". Born with a rare condition that resulted in her being born with a defective liver, she was the youngest recipient of a liver transplant at the time, being only 12 days old. Notwithstanding the routine monthly blood tests & anti rejection medicine that she had to take every day of her life, she lived a completely regular and wonderful life. She was blessed with a terrific sense of humor and a zest for life, that endeared her to so many people. She had so many friends from school, camp & wherever she went. Her inner circle of close friends was large and all inclusive from all walks of life. Everyone loved Sarala z'l and she loved everyone back. Around six months prior to her petira, she began to suffer from several serious infections that despite all our efforts, resulted in her being taken from us just a few weeks after her 17th birthday. Her passing was devastating to her family, to her five siblings, nieces and nephews who loved her so much & to the hundreds of friends that she left behind. More then 1,500 people attended her Levaya and hundreds participated in the various Shloshim gatherings in her memory. Sarala z"l was laid to rest on Har Hazeisim in Chelkas Haneviim, directly facing the Har Habayis. as we help others achieve the Simcha they are searching for.